No question, our communication mediums have come a long way—and so have we. That’s because whenever those mediums change, they take us along for the ride. We’re forever linked. Let’s take a look at media of the past and present, and how they figure into a recent and multi-faceted development for us in the digital age: technological relationships. The notion that emerging technologies fundamentally influence us is nothing new. Back in 360 BC, Plato warned that mankind would be ruined by that most pernicious of newfangled communication vehicles: writing. More recent thinkers, too, have remarked on media’s inextricable link to our lifestyles. Media educator and philosopher Marshall McLuhan once said, “The medium, or process, of our time—electronic technology—is reshaping and restructuring patterns of social interdependence and every aspect of our personal life.” The kicker? That’s from “The Medium Is the Message,” written back in 1967, decades before social media had even become a thing. But why take those guys’ word for it? Just look around and you can see the latest changes for yourself—we walk into people and things while staring rapt into our digital devices, for example. Or look at the way we talk. Slang and new figures of speech like “a thing” are constantly created and quickly disseminated with the help of the new digital communications at our disposal. So, our media changes how we behave. But is that media itself changing? Certainly. According to the Pew Research Center, regular use the Internet now is now almost completely ubiquitous. In addition, as of 2017, 69% percent of all online adults used a social network of some kind (compared with only 5 percent in 2005). The advent of text messaging has had a huge impact on the way we communicate. Ninety-five percent of American adults own a cell phone nowadays, and 80 percent of respondents in a RingCentral study said they used texting for business. In that same study, 15 percent said that over half of their text messages were sent and received specifically for business purposes—so texting isn’t just a fad for teenagers, either. By almost any measure, the adoption of digital communications has risen dramatically over the last 10 years, and that is changing the way people have relationships with each other, not only on a personal level but also, as seen above, in business. To understand these changes better, it’s useful to examine how digital interactions have changed how we communicate. The invention of electronics (like telephones) and digital communications allowed for long-distance communications to occur in real time. Before that, if we wanted a long-distance relationship it would require letter writing (which isn’t in real time) or face-to-face meetings (which are challenging to maintain at long distances). We’re now able to talk instantaneously with strangers. With tools like You Tube, Snapchat, Skype, and Twitter, you can have back-and-forth conversations and even form relationships with somebody whom you’ve never met in person, even somebody on another continent. We know more people. Whether they’re friends, followers or fans, the advent of digital communications has led to a dramatic increase of acquaintanceships. 10 or 15 years ago, it would have been nearly impossible to establish or maintain the volume of relationships that we do today with the help of social media. There’s more competition as we try to be heard. We’re all trying to find ways to capture other people’s attention amidst the heightened chatter of the digital landscape. We search for ways to personalize our communications and make them more noteworthy, whether it’s through images, different fonts, GIFs, videos, or some other innovation. We need to manage our technological relationships. With so many competing voices—often originating from folks you’ve never met or spoken with before—how do you differentiate which people are engage-worthy? This partially explains the prevalence of another social media staple: the profile. Of course, “blind” acquaintanceships with strangers were possible prior to digital communications, but they were trickier. On a personal level, you could be pen pals with somebody, but for the most part, contacting somebody you had never met before was reserved for business or political purposes and done only by phone or mail. Parties can participate at their own pace. This is especially useful for accommodating variable schedules. Parties are allowed time to think of a response. You don’t have to respond to somebody off the cuff—you can take a moment to do research, run an idea past somebody else, or just must mull it over before you respond. The quality of technological relationships: Is something lost? For both real-time, face-to-face interactions and ping-ponged, asynchronous ones, another impact of technological communication has been the rising necessity of shielding one’s identity in some way. The popularity of ad-blockers is just one potent example. Shielding can obviously benefit one’s security and the management of relationships, but it does have its own consequences. A reduction of intimacy, for one thing. We send a text instead of making a phone call, even though with a text you lose those subtle communication goodies like voice inflection and the like. Plus, it’s just colder. In business, as another example, ads and newsletters have largely replaced more personal door-to-door sales. Nowadays, you can send out an email newsletter—and in some cases, it will still have a desirable impact—but there’s no face-to-face interaction, no handshakes, and it’s difficult for the sender to know with what sentiment the message is received. In an ideal world, there would be a way to recover some of the intimacy that is being lost with the prevalence of technological relationships. The trick is to find a way of fostering intimacy—thus providing us with more authentic relationships, and the advantages associated with them—without having to sacrifice the benefits of digital communications. We’ve got some ideas of how to do that. If you’ve been wondering how you can add more intimacy to your technological relationships, feel free to ask. 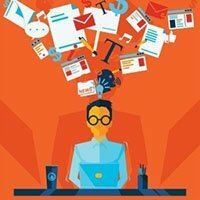 Marketing Automation: What Is It and Do I Need It?